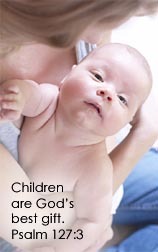 ← Children’s Lit…No, we’re not in college again! Remember the bracelet from my Day 2 post? Well, I have an extra one that I’m going to give away, courtesy of Rose at Foxwise. Just for y’all, she threw in an additional bracelet with my order last week!! How sweet was that?! Just comment on this post before 12:01, March 18, Central Standard and you’re entered, unless you state otherwise. I’ll do a draw on names and will anounce the winner sometime Sunday afternoon. Off topic: not that I ever stay totally On Topic, but I just have to say that I canNOT wait for Howard Shore’s soundtrack for The Hobbit!!! Back on task…It’s been a long road (just following the There and Back Again theme folks!). Filming on The Hobbit was delayed over and over as financial problems and legal issues developed . Then questions concerning filming location popped up and who the director was going to be. Sir Peter ended up in the hospital having an emergency surgery. What seemed like a hopeless project overcame all obstacles, eventually, and filming has been progressing for over a year now. And still, we wait. Patiently. OK, maybe not so patiently. Meanwhile, the masses are reading and re-reading Tolkien’s classic story about a little guy named Bilbo (Martin Freeman). Gandalf (Ian McKellen), returns to team up with Thorin Oakenshield (Richard Armitage) and twelve dwarves who travel to the Lonely Mountain on a quest. In 3D. Wow. Exciting to just think about all of that beautiful scenery in New Zealand, the familiar faces from LofR, the new faces joining in the ensemble, the gorgeous music and costumes. the CGI…well, maybe not excited about that but really interesting how they do all that computer generated stuff. Is this a great cake or WHAT?!!! My challenge, therefore, is to do a Hobbit cake. I’m itchin’ to get started. I just need an excuse! Not sure which of the grands will succumb to my “suggestion” that surely they would LOVE to have a hobbit cake…errr, but then I’m not sure they even know what a hobbit is. Note to self: rectify that quickly by giving each a copy of the book. Maybe I’ll get to do one this year? Maybe I’ll just do one for MY birthday! 😉 Now there’s an idea! Rebecca’s round cake had a different design on each side of the cake including a design on top of the cake…all Hobbit related. It was made in 2010 probably on the inspiration of LofR? But she did an outstanding job on this cake. It would be hard to top it! Oooo, but I could try a Hobbit gingerbread house? Or a Hobbit village? Somebody slap me. 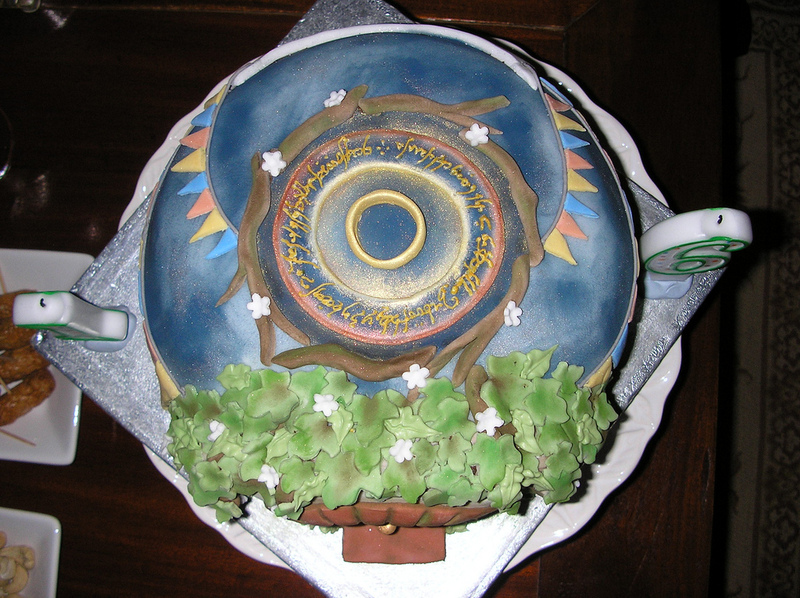 Click on the photos for more views of other Hobbity cakes at Cake Central. And if you’re into “creepy”, this cake definitely fulfills the definition to perfection! It’s extremely well done but totally creeps me out. A lot. For those wedding planners out there who are being bombarded with “Tolkien” themed wedding/cakes, here ya go! And if you’re going for the WOW factor for your next party, this could be the ticket! This is just flat out amazing! Are you a ‘Book” purist? Well then, here’s a Totally Tolkien creation just for you! To conclude; a slightly off topic cake but very RAish?… Stick Figure John Thornton runs off with his bride. REALLY?!! Well, sorta..! and if you’re really bored, go here for more meemawof10 cakes. 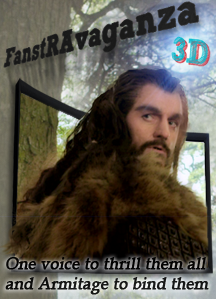 For more of THE HOBBIT in FanstRA 3, Day 3, see my partner’s post at Antonio Romera. Tomorrow, THE HOBBIT tagteam continues at Ana Cris and Mrs. E.B. Darcy. This entry was posted in books, cakes and tagged Bilbo, cake, Gandalf, gingerbread, Hobbit cake, Martin Freeman, Mary Engelbreit, Peter Jackson, The Hobbit, Thorin, Tolkien. Bookmark the permalink. Isn’t Rebecca’s cake lovely! The detail is simply amazing. The writing on the top is what slays me. Unbelievable! Wonderful!!! The details are fantastic. I cannot even begin to imagine the amount of time and patience required! Wow. That one by stebnickij is just amazing. I am impressed by how much work people put into something that will be cut up and eaten … I’m glad they preserve their work in pictures! I sometimes wonder how whacked out us decorators are…I mean really…but it IS fun to see if you can really do this or that. Yeah, on the pics thing. One of my friends here is a pro and I have her on standby. A lot! I am such a sucker for Sunday Sweets on Cake Wrecks, so this post has been one of my favorite F3 posts so far! I’m always amazed at the talent that goes into making such beautiful art out of edibles. Your Stick Figure Richard cake is adorable. I’m telling you, my husband thinks I’ve lost it. Everytime he comes in, I can’t talk because I’m laughing at CakeWrecks latest. Holy cow, did you see the one about…oh there are so many. Think I’ll just mosey on over there for a giggle or 2. And thanks. I hesitated putting that up next to “REAL” decorators but SFR was just too cute to ignore. And I didn’t want to hurt his feelings. Oh my….you can’t eat that. It is like art. Wow, is all I can say. Well some of it, I couldn’t eat because it’s so repulsive! Ick! I mean WHO would/could eat a Gollum figure. No way, no how. These cake designs are so inspiring! I haven’t had dinner yet–and it’s 9:30pm. I think I’m on the F3 diet–blog reading rather than eating–as I commented on another post that had food in it. But now I really need to go eat something. Ha! Let’s make a cake that Thorin can pop out of! Oooo I like that plural “Let’s”!!! You’re gonna help?! Yay, I can use all the help I can get. Not sure I want Thorin popping out my cake tho…thinking he might need a hairnet…and a beardnet…and a net for all animal hair that’s hanging out around his neck….ewwwwww. Fun post. And you have a fun blog, too. I love cake wrecks. Thanks!! Glad you stopped by. I really do adore Cake Wrecks. Isn’t it amazing the things cake wreckerators will put on a cake?! Aren’t they tho?! And yes, it is perfect!! I absolutely love the book cake …. but they are all amazing! Thanks for posting. Cake, cake, I want a beautiful Hobbit cake! What absolutely amazing cakes and they would take hours if not days to do. My favourite would be The Lord of the Rings one. After creating something like these to see it eaten would be heartbreaking for some. Now craving something sweet. Yeah, days would be the best time frame for all of these cakes..the designing phase, then making the elements one step at a time (they have to have time to dry and set up so you can handle them), then the actual cake baking (my most unfun part of the process), then leveling, trimmimg, filling, base coating, stacking, more leveling…and then you finally get to do some REAL creating and put it all together. Sheesh. Makes me tired just thinking about all of that. Remind me again why I do this? 😀 Must get inspired tho as April is a big month of cakes here, beginning with grand #5’s March birthday. Hope you got that something sweet!!! Oh, my, those cakes are masterpieces… I want one for my birthday, with the design of the western Gates of Moria, chocolate and coffee…. Who would imagine the cakes would be elevated to such an art form maybe in the reign of Louis XIV but in modern times and often by hobbiest? I am really amazed! I really inspired me so that I think I’ll pull out the box and light the oven! Thanks for sharing the Hobbit cakes and I know we all look forward to seeing your creation! Don’t forget to add the eggs!! LOL!! You’re welcome and so far I haven’t talked anyone into a Hobbit cake. 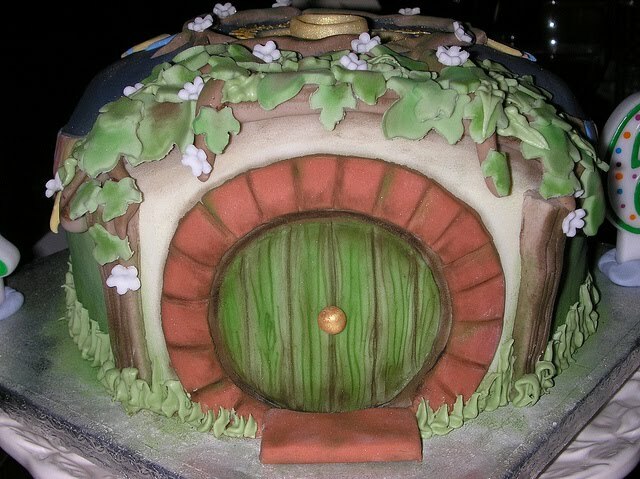 DiL just emailed grand’s pick of birthday cake…not Hobbity at all. Bowser, whoever that is. Mario Bros. character I THINK? !